Tap Main menu on the Toolbar, and then, go to the WiFi Connect service. 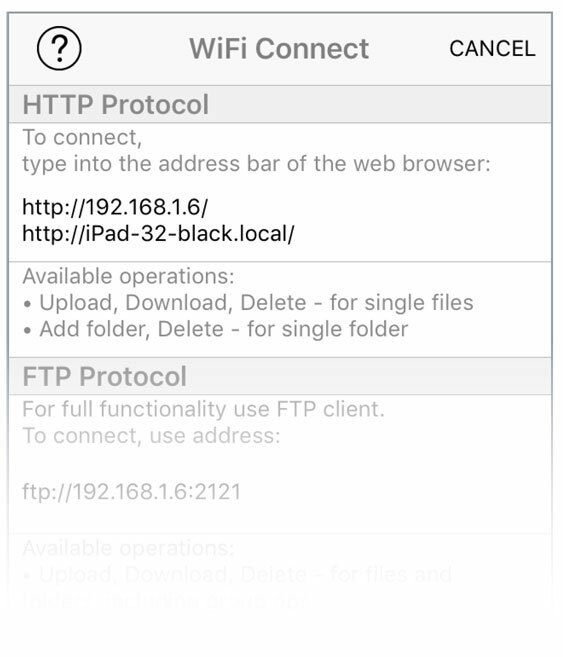 To connect your iPad / iPhone through HTTP protocol, enter one of the URL address into your computer web browser. 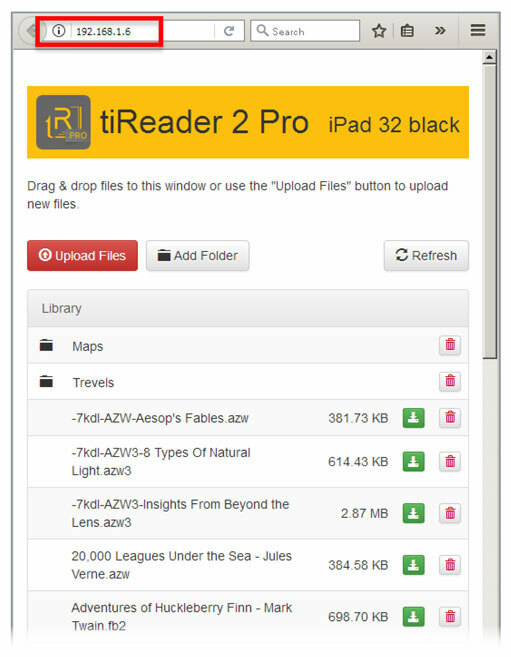 Add folder, Delete — for single folders. For full functionality use FTP-client. 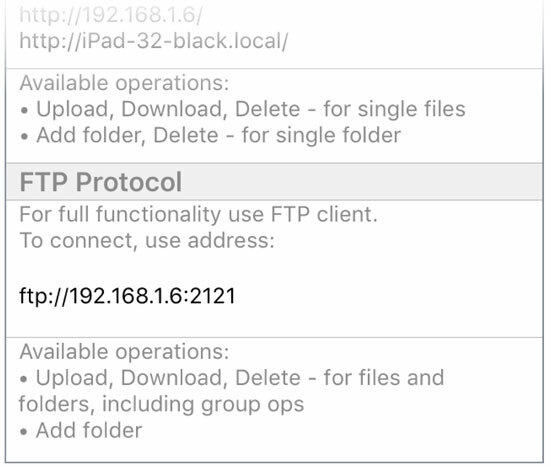 To connect your iPad / iPhone through FTP protocol, enter the URL address into FTP-client (for ex. 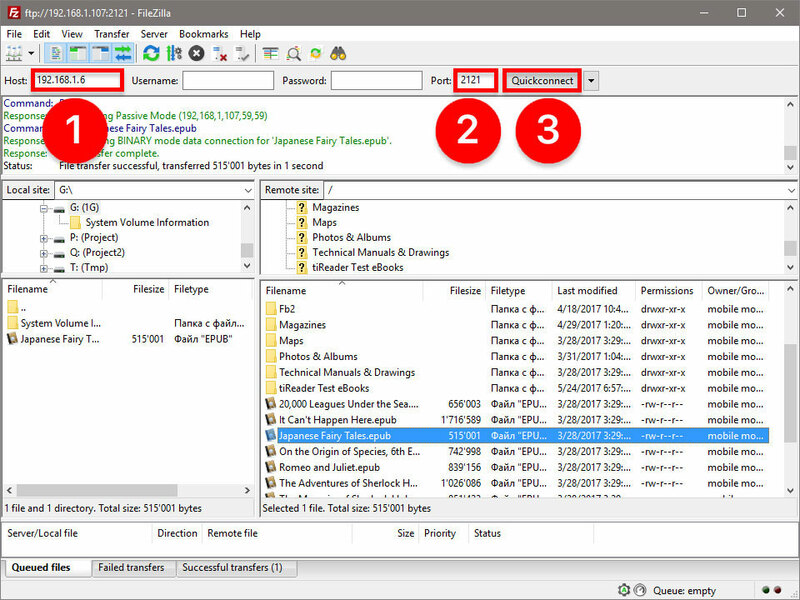 FileZilla).